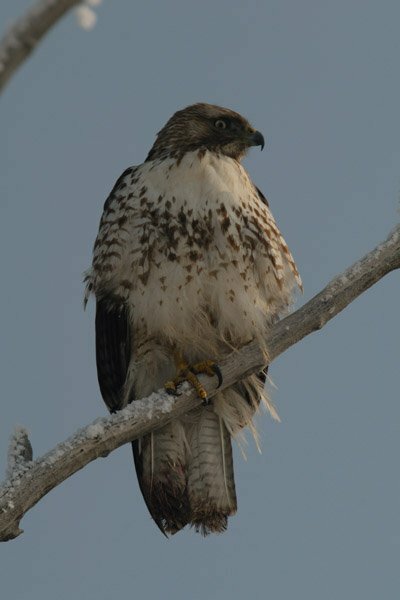 A Hawk I saw at Farmington Bay, Utah. Anyone want to identify it for me? @parisouailleurs - Thanks. I'd guess Red Tailed Hawk, not because I'm good at identifying them, but just because that seems to be the common hawk around here. @parisouailleurs Well said!!! And another great shot, Josh!